On 31 March 2019, the former interior minister, Chaudry Nisar Khan, said, that the Financial Action Task Force (FATF) was apparently a political institution, but some international powers were hatching conspiracies to blacklist Pakistan for their own interests and that had nothing to do with terrorism or terror financing. For the last one year, Pakistan’s political and military leadership has given much importance to the FATF. Pakistan’s leadership has claimed that if the FATF places Pakistan on its black list, then that will create more problems for an already troubled economy. The fact is that the objectives of the FATF are political. International institutions have been constructed by the West, led by America, for black mailing various countries, in order to force them to work for Western interests. The FATF objectives are political. Further insight can be seen in the statement of yet another former interior minister, Senator Rehman Malik. Senator Malik informed the Sen­ate Standing Committee on Interior that he had written a letter to FATF President, Marshall Bill­ingslea, in which he said that PM Modi was abetting money launderers and financing the Rashtriya Swayamsevak Sangh (RSS), a terrorist organization. 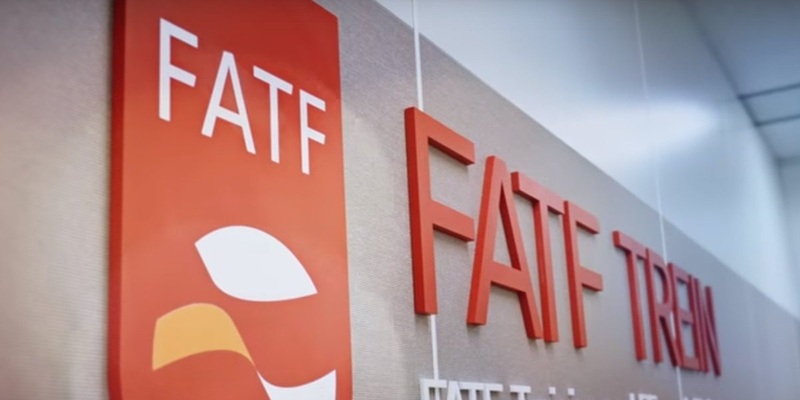 However, the FATF president replied that the FATF had no investigative functions as it was a policy-making body working to generate political will, so as to bring about legislative and regulatory reforms to curb money laundering and terrorism financing. Upon such a reply, one can ask that if the FATF has no investigative functions, and is reluctant to take any action regarding terror financing then what really is Pakistan to worry about? Moreover, there is bigger question mark on the stance of Pakistan’s political and military leadership then the controversial conduct of the FATF. When it is clear that FATF is not an investigative agency and works only to generate political will, then why is the leadership of Pakistan exaggerating the FATF threat? The newspapers of 3 April 2019 were full of news declaring an internal rift in Pakistan’s Tehreek-e-Insaf (PTI). Those that were welcomed by Imran Khan into his party because they were “electables” are now facing off, when Pakistan is facing a severe economic crisis. Such political factionalism is a common phenomenon in Pakistan’s politics. Democratic politicians become part of a political party to secure their personal interests. When they see that they can get more benefits elsewhere, in no time at all, they switch their loyalty to another party. This shameless situation is because of democratic politics. Democracy is a system to secure personal interests. Only those come forward who want to fulfill their personal interests, whether in the form of increasing wealth, influence or power. Personal interests alone gathers individuals in any one party and conflicting interests makes them part ways. Whilst the people of Pakistan are drowning in inflation and poverty, the leaders of the ruling party are playing power politics. Clearly in democratic politics, the status of people is no more than cattle, which can be sacrificed for securing personal interests. The principled ideological stance has no place in this democratic system that is spread by the West. The only difference between the politics of the West and that of Pakistan is that in the West political parties are stable, whilst in Pakistan they remain in crisis constantly. This is because ruling in Pakistan is not directly in the hands of politicians, rather their strings are in the hands of the corrupt in the military leadership. These corrupt people do not allow any political party to rule to solve the problems of Pakistan. They have a political set up that is best for the continuity of the colonialist system in Pakistan and securing the American interests in our region through it. Therefore, in Pakistan it is more evident than in the West that democracy is a system to secure personal interests. On 2 April 2019, Indian forces martyred three soldiers of the Pakistan Army and one civilian. They injured one soldier and a civilian as well, through unprovoked firing at Line of Control. Indiscriminate and unprovoked firing at the Line of Control (LoC) and Working Boundary (WB) has become a norm since the Modi led BJP government assumed power in India. The Indian aggression is because of the “restraint” policy of Pakistan’s political and military leadership that was adopted on the instruction of the United State. As if this restraint policy was not enough, the political and military leadership of Pakistan adopted the policy of “normalization” to please Washington too. The policy of normalization has been adopted when the Indian oppression in Occupied Kashmir has reached a level that even the international media has declared that Muslims of Kashmir reject India. It has also pointed out that even educated youth are now following the footsteps of Martyr Burhan Wani and adopting armed struggle. Can any sane mind adopt a policy of restraint and normalization against an aggressor that is continuously attacking? The political and military leadership of Pakistan have adopted a deplorable stance because this Indian aggression is not against a tiny state, like Bhutan, but against the only nuclear Muslim state in the world which has the seventh largest armed forces and whose air force has recently demonstrated its superiority over the Indian Air Force. The policy of restraint and normalization does not match the stature of Pakistan. It is an insult to the 220 million noble Muslims of Pakistan and their formidable strong armed forces. Unless the policy of restraint and normalization is rejected, India will continue its aggression. The need of the time is full blown offensive to liberate Occupied Kashmir, ending the decades of oppression of the Hindu State and earning the good pleasure of Allah (swt) and the Dua of the believers. The sincere in the armed forces must give Nussrah to a political leadership which will establish Khilafah (Caliphate) on the Method of Prophethood in Pakistan. And then a Khaleefah Rashid will let loose the lions of our beloved forces who will fall upon the Mushrik forces like a storm in order to attain the glad tidings of RasuAllah ﷺ. They will not only liberate Occupied Kashmir, they will liberate all those who are being oppressed by the Hindu ruling elite in all of India. Allah swt said, فَاِنۡ قٰتَلُوۡكُمۡ فَاقۡتُلُوۡهُمۡؕ كَذٰلِكَ جَزَآءُ الۡكٰفِرِيۡنَ “If they attack you (there) then slay them. Such is the reward of disbelievers” [Surah Al-Baqarah 2:191].